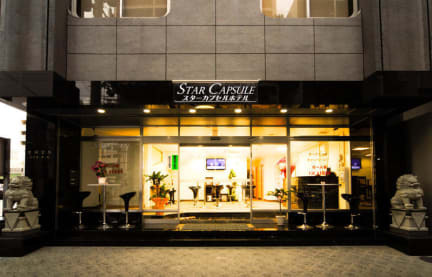 Conveniently located in the heart of the Naha City, just a 10-minute drive from Naha International Airport, and a 10-minute walk from Asahibashi Monorail Station, Star Capsule features popular Japanese 'capsule' accommodations. Approximately three minutes walking distance to Japan's most popular cruise stops Naha Wharf and 15minutes on foot to downtown nigh life and Kokusai street, 10 minutes to white sandy Naminoue Beach and Fukushue, a Chinese garden is perfect for both business and leisure travelers. 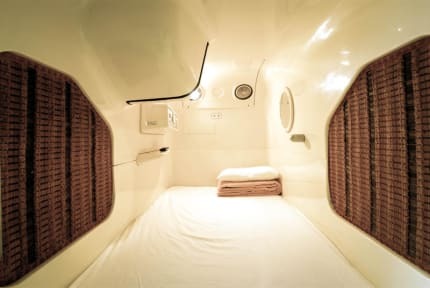 Star Capsule Hotel ensures highly security for female, very clean and comfortable capsule hotels for both men or women. We have 30 beds male and female capsule catering to guests' different demands.